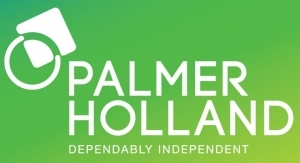 Established in 1925 as Palmer Supplies Company, today Palmer Holland is a national specialty chemical distributor of raw materials with its headquarters in Cleveland, Ohio and 40+ account managers stationed across the United States. We are an independent company with flexibility that allows us to provide customers and principals with the most effective and efficient solutions. Our partners are rooted in the areas of CASE, lubricant, personal care, agriculture, health & nutrition, and plastics markets.